National Flower of India: Lotus, botanically known as the Nelumbo Nucifera is the national flower of India. The Lotus plant is basically an aquatic plant with wide floating leaves and bright aromatic flowers which grow only in shallow waters. 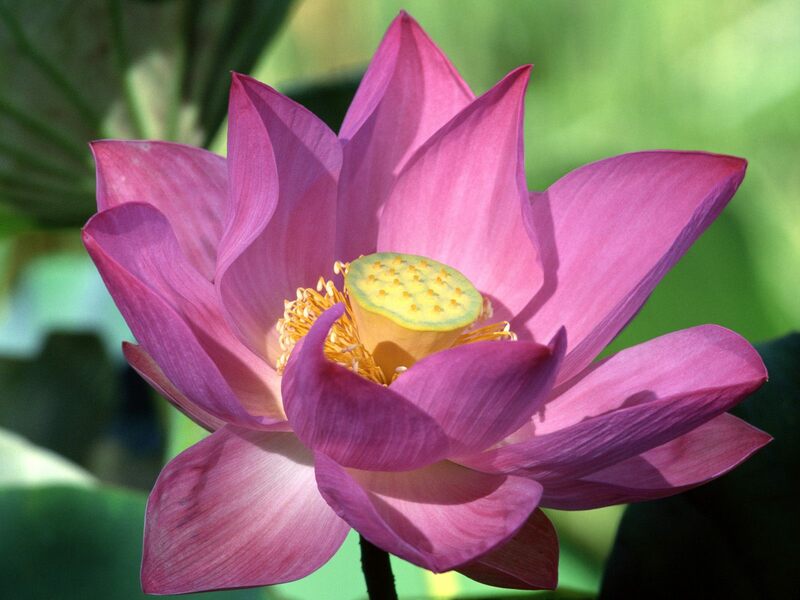 The Lotus plant has floating leaves and flowers. It has long aerated stems.. The lotus flowers are extremely beautiful with an overlapping proportional motif of petals. It is considered to be a sacred flower and occupies unique position in the art and mythology of ancient India. This flower has been an auspicious symbol of Indian culture since time immemorial. The Lotus Flower symbolizes divinity, fertility, wealth, knowledge and enlightenment. It is also regarded as a symbol of triumph as it can survive to regerminate for thousands of years. Lotus represents long life, honor, and good fortune. Untouched by the impurity despite growing in mud, the flower is also meant to symbolize the purity of heart and mind. It holds additional significance for Hindus, as it is regarded as the symbol of many Gods and Goddesses and is often used in religious practices. It was because of these noble meanings and cultural significance that made the founding fathers of modern India enshrine the lotus in the Constitution as the National Flower.